Hello everyone and welcome to my blog (Kayla MacAulay) from Tasmania, Australia. Thank you so much for popping by my blog today. 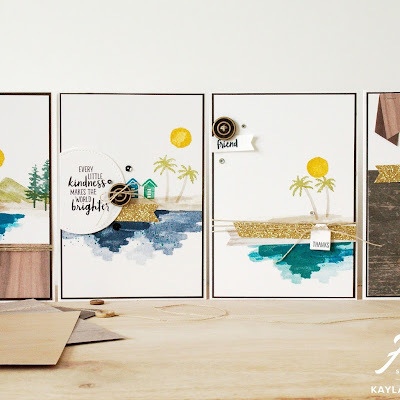 You may be visiting here from the lovely Kylie Bertucci's blog. I am taking part in her amazing International Blog Highlights today and am just thrilled to be taking part. This month the theme was friendship, so we are sharing a big gallery full of friendship theme cards. 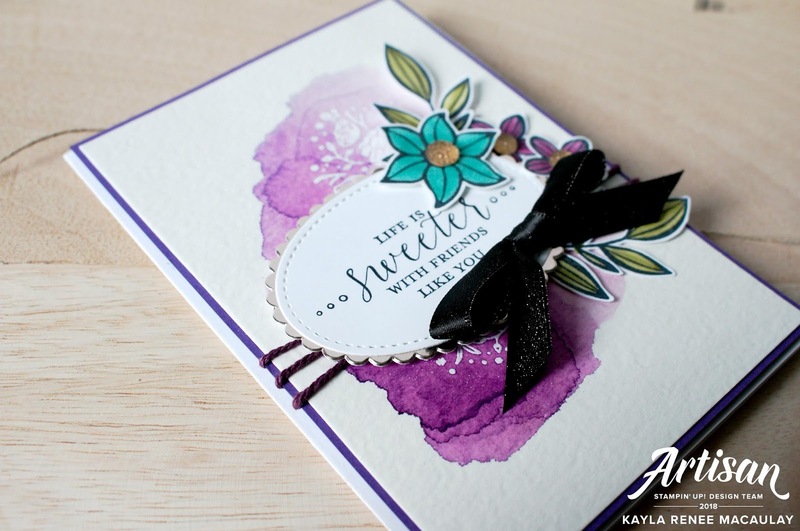 I really thought of this brand new Detailed with Love stamp set when I thought of the friendship theme as I just love this beautiful sentiment, "Life is Sweeter With Friends Like You" and just couldn't wait to make a friends card with it. I have actually used a few different stamp sets including two stamps that are carrying over to the new catalogue from the previous year; Wood Words and Falling Flowers. I really wanted to show how you can combine the new with the old and it works just great. I have been a little obsessed with watercoloring and the colour purple lately so I combined both on this card to place all the things I am loving on one project. 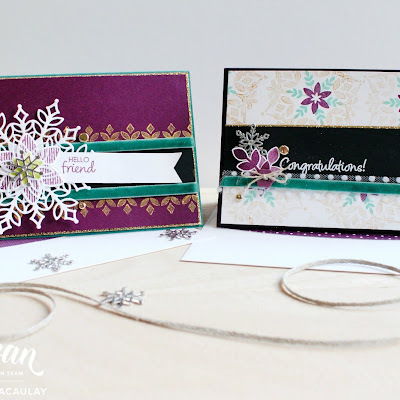 I used the gorgeous floral stamp from the Wood Words set and embossed it in white embossing powder on Watercolour Paper on the background before watercoloring over the top with Gorgeous Grape, Blackberry Bliss and Highland Heather. I just love how the colours are so deep and rich. I also stamped the Falling Flowers leaves and flowers on Thick Whisper White A4 Cardstock and coloured them with various colours of Stampin' Blends. 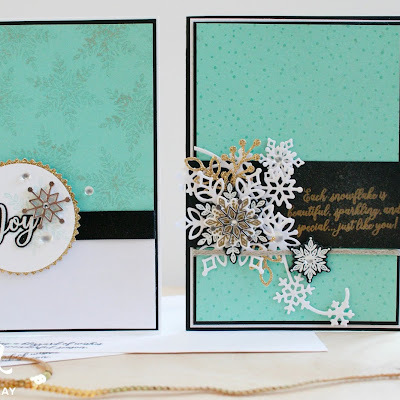 The really cool thing is that these colours in Stampin' Blends are now available to order again! I have stamped my sentiment on a Stitched Shape Oval and backed it with a Scalloped Layered Ovals Die cut from Champagne Foil. To finish I have accented with Basic Black Shimmer Ribbon tied in a bow and some of the Nature's Twine from the Nature's Poem suite. I have also added some Gold Faceted Gems to the centres of my flowers. I hope you enjoyed this card I made today and got some inspiration to combine the new with the old and send some beautiful handmade love to your friends. I would love you to pop along to Kylie's Blog and check out the rest of the gorgeous cards in the gallery and vote for my card if you liked it.